The Maldives is famous the world over for those who wish to experience white sandy beaches, turquoise waters and spectacular coral reefs. But where do those who call these beautiful islands home go on holiday? 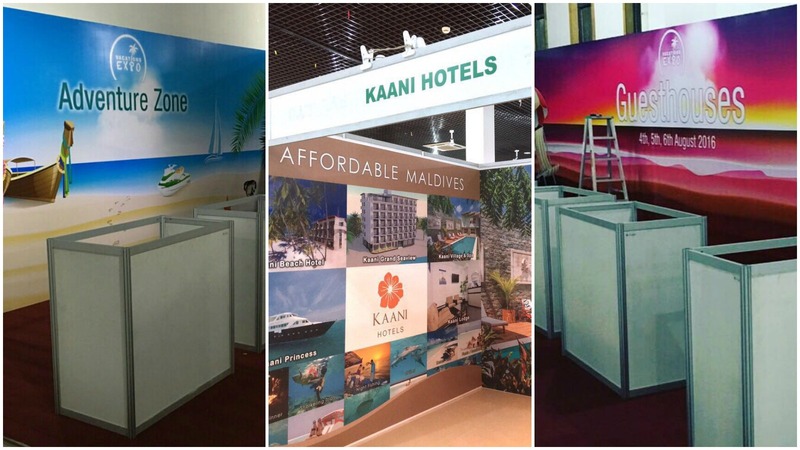 The country’s first ever Vacations Expo has just opened, giving Maldivians unique travel opportunities and encouraging them to explore their home and further afield. “The Vacations Expo is the first of its kind,” explains Ismail Hameed, whose High Rise company has organised the event, which was launched today at the National Art Gallery in the capital, Male. Tourism Malaysia – as one of the event’s official partner – will be one of 30 exhibitors from across the travel industry, encompassing airlines, travel agents, tour operators, safari boats and guest houses. Inner Maldives is the main sponsor of the event, which will continue for three days, highlighting both international options and those closer to home. Ismail explained that domestic tourism had increased rapidly along with the rise of guest houses throughout the atolls in recent years, with a number of guest houses and water sports providers appearing at the exhibition. As well as a world of information for future holiday plans, a number of prize giveaways will take place during the event. A free cruise courtesy of Inner Maldives, plane tickets to any destination, diving, fishing, resort trips and even a free Hajj trip can all be won. The Maldives first Vacations Expo will begin at 2.30pm today in the National Art Gallery, running until Saturday (August 6th).